This delicious offering of Mexican dishes from Houston’s famous and favorite restaurants presents dozens of classic and contemporary recipes side by side, enticing the home cook to bring the unique flavors of Houston’s Mexican cuisine to the table. The traditional flavors of fresh lime, cilantro, fiery peppers, and creamy queso infuse the dishes with authentic Mexican flavor while the signature local touches mark each recipe as unmistakably Houstonian. Real Guacamole from Yelapa, Poblano Mole Enchiladas from La Guadalupana, Carnitas from Santos, and Dos Leches y Canela Flan from Rebecca Masson are among the book’s showcase selections. 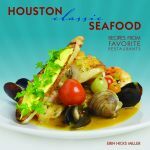 This delicious offering of seafood favorites from Houston’s famous restaurants showcases classic seafood preparations alongside those with a decidedly non-traditional approach bringing the unique flavors of Houston’s Gulf Coast cuisine to the kitchen. Filled with tips from well known chefs and award-winning newcomers, this book offers advice for the home cook on selecting and preparing the “fruits of the sea” and is sure to become a favorite for every seafood lover. “How Iowa Cooks is a 266-page book full of the best of the heartland. . . . The breadbasket of America is amply represented in the more than 600 recipes, from all over the state.” Spiral. When you’re raised by a grandmother whose life ambition is to see that all of her family and friends are fed palate-pleasing traditional dishes, the apple strudel doesn’t fall far from the tree. Whenever people came to visit Marla Brooks’s grandmother, the first question was always “What can I get you to eat?” soon followed by “Here, have a little bit more.” Over time, Ms. Brooks has come to follow in her grandmother’s footsteps, and always has something tasty to offer guests. Paperback. For years, visitors to Chicagoland farmers’ markets have counted on Jamlady’s impressive selection of jams and jellies to add excitement to meals. This cookbook puts a dazzling array of foods often thought of as mere condiments front and center, within reach of even those home cooks with basic skills, limited time, and access to simple ingredients. Savannah’s oldest eatery has served its renowned barbecue to thousands of luminaries, locals, and visitors since 1924. The welcoming atmosphere and outstanding food of this family business are hallmarks of Johnny Harris Restaurant. With this book, barbecue enthusiasts can bring that signature taste and history into the home. Featuring vintage photographs and reminiscences from generations of patrons, this delectable book is a delightful homage to the heritage and flavor of an iconic institution. Written in Spanish, Juntos en la Cocina provides a complete tour of the culinary arts of Puerto Rico. Adobo and sofrito, the bases of many island dishes, are described in detail. To enable both novice and experienced cooks to create savory meals, each recipe gives step-by-step instructions, with special emphasis on preparation and serving. Justin Wilson, who radiates charm, warmth, and the earthy joie de vivre of storied Cajun country, is also a great chef and has assembled in this volume another great treasury of authentic Cajun recipes. Justin Wilson took a culture slur and made it a label of distinction. He proudly identified himself, and his cooking, as “Cajun.” His experiences as a safety engineer were the catalyst of his transformation into one of the most familiar Cajun personalities of the last century. 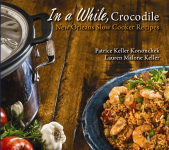 In this tasty collection, the world’s foremost Cajun humorist and acclaimed gourmet chef shares recipes that will stimulate the most jaded taste buds. Sure to be a favorite with old and new Justin Wilson fans alike, The Justin Wilson Gourmet and Gourmand Cookbook combines Justin Wilson’s “ga-ron-teed to please” recipes with a liberal sprinkling of his Cajun humor and forty-nine color photographs. Many of the recipes on Justin’s PBS show are featured. These recipes reflect on over thirty years of Justin’s cuisine and illustrate not only the development of his personal cooking style, but also the evolution of the Cajun cuisine he helped to popularize. Hardcover. Justin Wilson made his mark as a storyteller and humorist—a goodwill ambassador of the Cajun culture of South Louisiana. He took a culture slur and made it a label of distinction, proudly identifying himself, and his cooking, as “Cajun.” For this, his final retrospective, Wilson reminisces about times gone by, the recipes he created, and the evolution of his cooking style. He features delicious original recipes, including some healthy and convenient options, and his famously funny anecdotes. Complementing such tasty tidbits are photos that capture the essence of this loveable Cajun icon. Now in paperback, this classic is sure to help you “pass a good time.” I GARONTEE! People in Louisiana love to cook and they love to socialize. That’s why these easy down-home recipes are just the thing for the neighborly chef. Justin Wilson, who was always looking for ways to make his cooking easier, eliminates peeling and chopping by using flavored salts and powders instead of onions, celery, and garlic. Country cooking at its best! Everyone’s favorite Cajun, Justin Wilson, has cooked up a collection of mouth-watering temptations in Justin Wilson’s Outdoor Cooking With Inside Help. Many of the recipes featured can be seen demonstrated on Justin's PBS show, Justin Wilson’s Louisiana Cookin’ Outdoors. Hardcover.